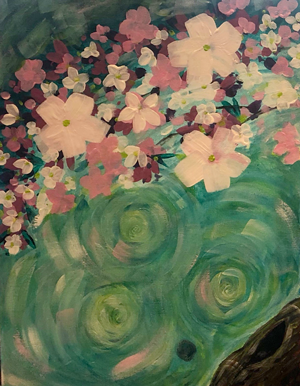 Just in time for Mother's Day, Peggy Brewer returns for another paint party in New Palestine. 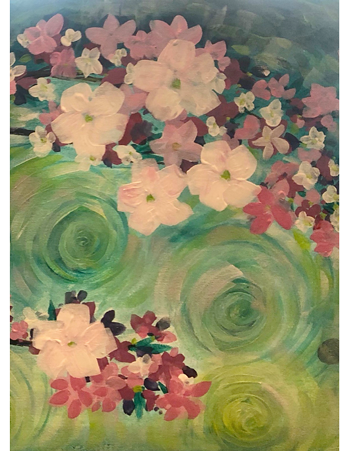 Paint a spring apple blossom panel, inspired by Hancock County's own Tuttle's Orchard. Three separate 12 x 16 panels will be available to choose from. 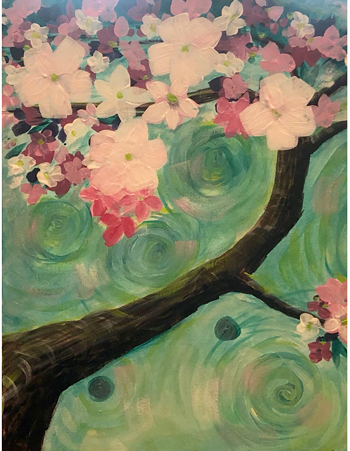 Paint one panel, or bring friends/family and paint together to create a complete collage. Each person will paint only one panel. The $10 fee (cash, per person, per panel) is payable to the instructor at the beginning of each class and covers all supplies. Peggy will provide a smock but recommends dressing in old clothes. 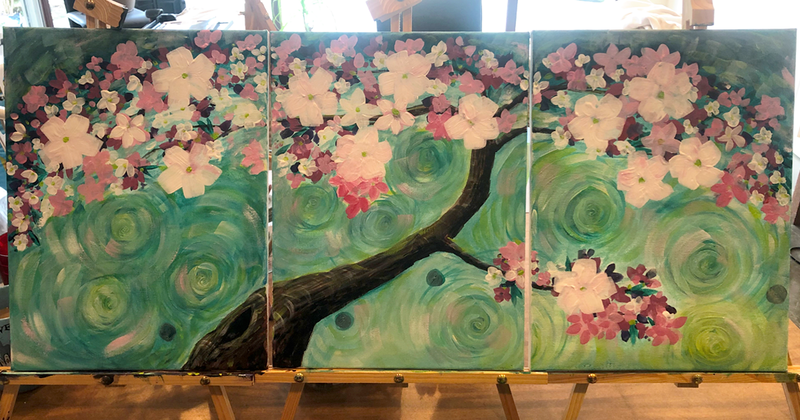 Visit Paint Parties by Peggy on Facebook to view instructions and tips before the party so you will be "in-the-know" and more relaxed for your painting experience. Please register for each session separately. Space is limited. When events are full, people who have not registered but who are present will be admitted when there are openings. Those on the waiting list will be admitted first. Please note: this session is identical to the one offered in the morning. Please sign up for only one.